Well, they say that persistence pays off. I think that I hounded my publisher into submission, because on Friday I got the word that my next story is going to be published! The story will be released as a series of three e-book novellas. I’m really excited! This story has been a real challenge for me. It is the first time that I have written a Young Adult novel, the first time that I have written a story with a female protagonist, and the first time that I am tackling a story with no military aspect to it (I’m a history teacher. What can I say?) I think that I have come up with a pretty imaginative approach that I hope will appeal to audiences of all ages. I will give some more details about the story as well as release dates in the near future. I hope that you will never quite look at the world around you the same again after reading it! Persistence can be an absolute necessity for all steps of writing. Where does it come in and why is it important? That is my message in this week’s vlog. If you are an aspiring writer, there comes a point where you have to put up your “pen” (or your keyboard in most cases) and finally send the work that you poured your heart and soul into so that you can find an agent or a publisher. Once you do, what can you expect? I might not have the most experience in this area, but I figure I can offer a little bit of a preview for what you can do when you receive your reply. Well, today is the day. My brain-child was finally born. 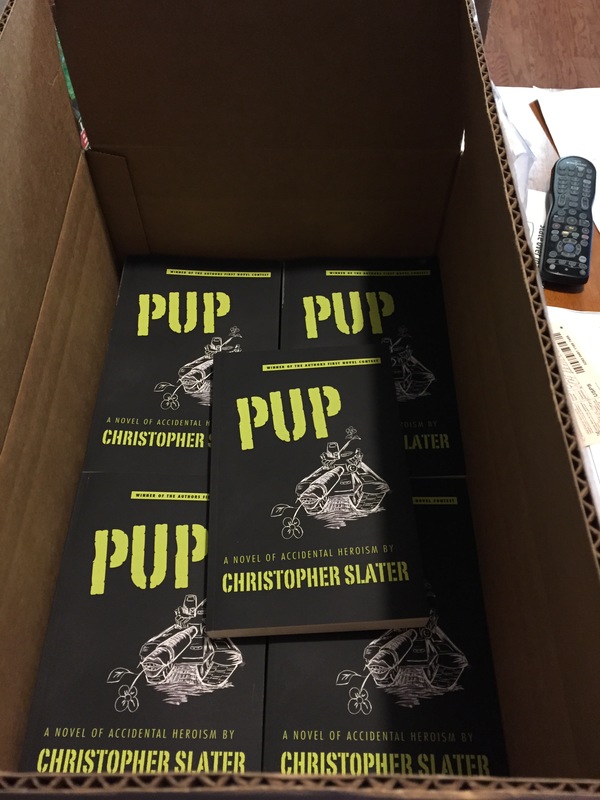 The novel Pup has been released. There are certainly days that have been more important in my life. The birth of my son and my wedding day are the obvious ones that come to mind. Still, this one certainly ranks up there. Any of you that are writers understand how amazing it can be to watch a story take shape in your mind and by your hands. Sometimes the characters become as real, or sometimes even more real than the people around you.You go back to read through what you have written and you find yourself surprised with what you find. A life plays out before your very eyes. You get to not only witness it, but you also get to shape it. I feel sad to say this as a writer, but words cannot do justice to the process. Those of you that don’t write understand as well. You get the same feeling through the expression of your own passions. I watched that same elation form on someone’s face when they finally got a troublesome engine running once again. I see it when people draw, and I’ve seen it on the face of every person that finishes a long-distance race. It is an amazing journey. So, the big day of release is finally here. So what am I planning to do to celebrate it. Nothing much. Honestly, I have kept up with my social media, spoken to my mom (she was probably one of the first buyers. No surprise there! ), gone to a few shops, and gotten a little exercise. My wife and I will probably go out to eat, but that is all that I really have planned. Am I a party pooper? I don’t think so. I’ve had six months of celebrating, and that isn’t counting the writing process itself. I’m thrilled. I’m proud. I plan for a great showing. But I don’t intend to spike the football. I’m happy just soaking it in and getting ready for the next day. 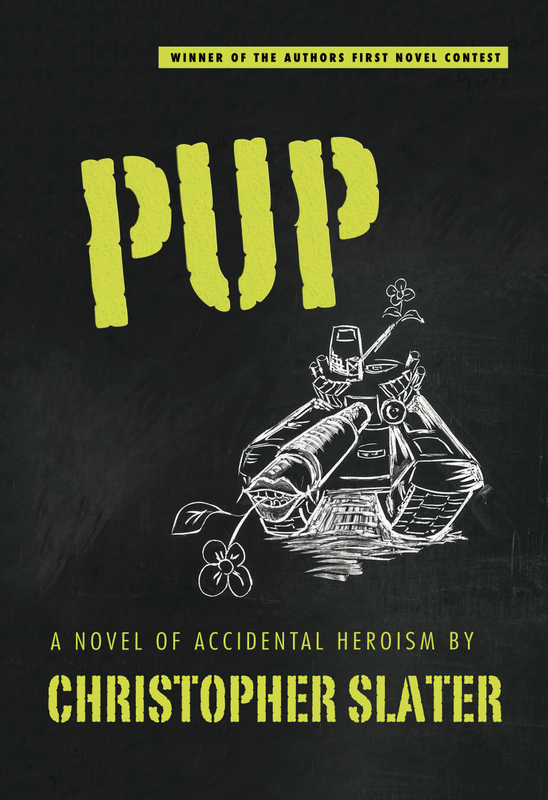 With the release date coming up soon, I decided to read a brief section of PUP so that people can get a preview of what I am so excited about. The scene that I am reading is just an example of some of the early trials faced by the main character and gives an idea of the interesting, almost comical difficulties he has a habit of stumbling into. This will be a quick entry, and I’m sorry for sounding like a bad imitation of Bill and Ted, but I wanted to share that I received the second most awesome delivery of my life yesterday. Being there for the delivery of my son was obviously the most awesome. Yesterday, just as I was about to cut my hair (which explains why it looks the way that it does), my son knocked on my door and said that there was a delivery out front. A minute later he brought up a cardboard box that seemed pretty heavy to him. I thanked him, opened it, and just stood there smiling. 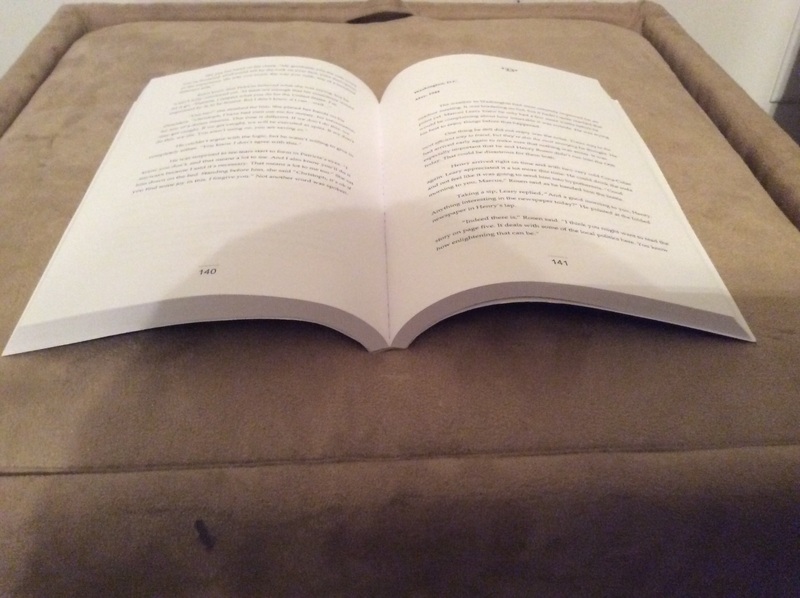 It was twenty-five advanced copies of my book. I had a box full of my first published book! It’s still two and a half months before its release, but I feel so thrilled about it now! I’m still having difficulty considering myself a writer for the simple reason that I don’t have an agent and simply won a contest. Nevertheless, I thought that I might chronicle the process of being published so others can see some of the process and so that I can figure it out myself. To that end, I should start at the beginning. The beginning is, of course, the book. I had self-published a book a few years back, but I never learned how to do the publicity side of things, so I didn’t have a lot of luck with it. Despite that, I wanted to give it another go because I do enjoy writing. I brainstormed on several ideas, and by the time I had thought everything through I had a rough outline for a story. The story can sometimes be the easiest part. It is the characters that can be a pain. I spent a lot of time thinking about that main character. Should he be lovable, comical, grumpy? Should he stand out in a crowd for a good reason or a bad reason? What does he want out of life? Can he achieve that? I answered a lot of questions that would never make it into the story, but they made the character seem more real to me. I wrote in my spare time during the Spring Semester and over the summer. There isn’t much spare time in the life of a teacher, husband, and father, but I scratched some out and my wife was always very generous at making sure that I could find some time. It took a few months, but I finally completed my rough draft. Then I read through it myself. If there is one thing that I have discovered it is that I forget half of what I write and can actually surprise myself with my own writing. I know, it’s weird. I’m considering getting help. My wife and a friend beta read it for me. I highly recommend finding beta readers for your stories. A good beta reader can be an invaluable resource. Once they were finish, I contemplated what to do with my new novel. I was seriously considering self-publishing again. It can be a great tool and some writers have had tremendous success with it. While I was contemplating it I stumbled across mention of a writing contest. I’ve never bothered entering one because they either have a steep cost or an ridiculous set of requirements, but I decided to check it out anyways. The contest was on the website http://www.authorsfirst.com (a great resource for writers. Everyone should check it out!) and as soon as I arrived I found the contest rules. I read through me multiple times before deciding that the generous requirements and lack of entry fee made for a good fit. 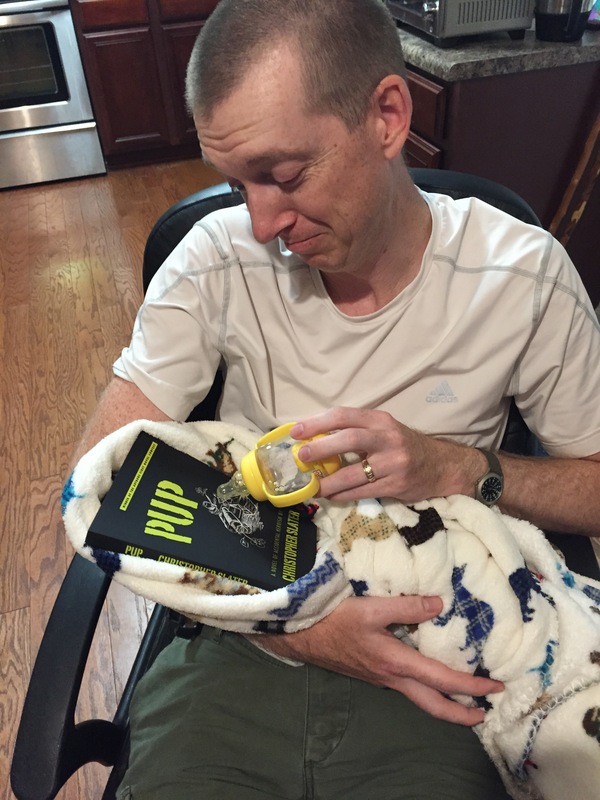 I had a friend proofread the book (thanks Mrs. G!) and sent it end a little before the deadline. the next thing that came was the part that I understand every author has to go through: waiting. The contest entry deadline was September I believe, but the winners wouldn’t be announced until December. I understand that this kind of waiting is typical for many authors when trying to get an agent or submitting manuscripts to publishers. It is agonizing. I haven’t always been known for my patience. As the time for the announcement of winners approached, I started making preparations to self-publish my novel. My wife and I spent some time trying to put together some cover art (thanks for working with me on that sweetie! I know it wasn’t easy) and I started thinking of what I could do differently to promote my book that I didn’t do last time. The email from Lou Aronica at The Story Plant didn’t come as a complete surprise. I figured it was a polite form email thanking me for entering the contest but that they had chosen someone else, etc. When I read the words “Congratulations, you are the inaugural winner of…” My brain kind of froze. Mrs. G asked what was wrong and I handed her my phone with the email on it. She shouted and gave me a hug and handed it to Mrs. Edwards who did the same thing. It took a long while to set in. I contacted Mr. Aronica to make certain that the email was genuine. He assured me that it was and tolerated my nervous joking as I asked him what I needed to do. He explained to me what would be happening over the next few days and what would be happening in the longer term. I don’t know if he has a lot of experience dealing with nervous, naive amateur writers but he does it quite well. The obligatory call to my wife, mother, and friends out of the way, I started down the path of becoming a published writer. So what were the things that Mr. Aronica described to me as part of the process? That will be described later. This is still an ongoing process, and I am still overwhelmed. Maybe some of you wonder why I am bothering to write about is when so many people have been published, but if you are an amateur writer like me, you have no idea how this works. I know that I haven’t gone through the process of getting an agent or writing submissions. I’m an accidental author, and I know that I will be going through those difficulties eventually, but for now I’d like to share the light at the end of the tunnel.